GENEVA (Reuters) - Greece must show "much more leadership" to tackle an escalating crisis in which 160,000 refugees and migrants have reached its shores so far this year, the United Nations said on Tuesday. 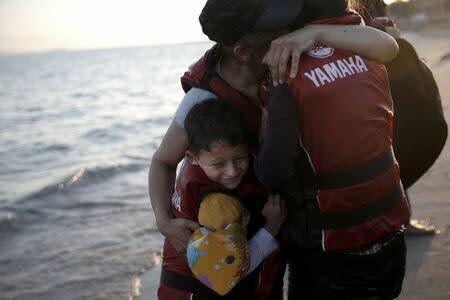 Clashes erupted last week on the overwhelmed Greek island of Kos between desperate people, mainly fleeing conflicts in Syria, Afghanistan and Iraq, who come on small boats from nearby Turkey only to find dire conditions. "The pace of arrivals have been steadily increasing in recent weeks. 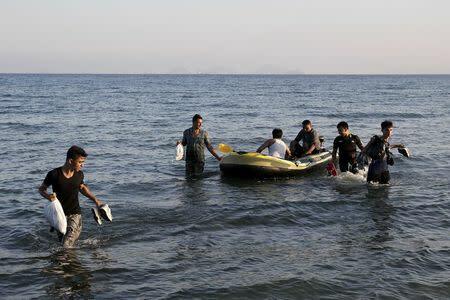 More refugees and migrants arrived in Greece during the month of July - 50,242 - than during the whole of last year," William Spindler of the U.N. High Commissioner for Refugees (UNHCR) told a Geneva news briefing. Hundreds of Syrian refugees on Kos boarded a passenger ship chartered by the government on Sunday that is to house and process them, aiming to ease chaotic conditions onshore, where many are living in tents or cardboard boxes. The government of Alexis Tsipras is grappling with an economic crisis but has responsibility to do more, and the European Union must also support Athens, the UNHCR said. "If the (Greek) central authority would come up with leadership and vision and appoint somebody who would coordinate this response, then we and other international organizations would be ready to come and help," Spindler said. "But it's difficult for us to come and start working on the ground if we don't have somebody in charge." 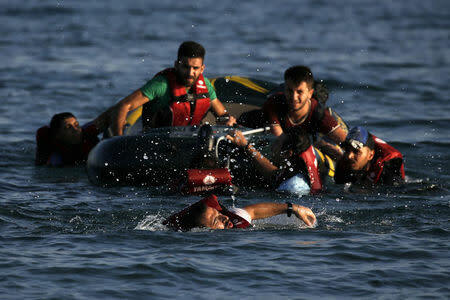 Nearly 250,000 migrants have reached Europe by sea so far this year, and at least 2,349 have died making the journey, the International Organisation for Migration (IOM) says. Rescuers found one migrant dead and saved 354 on a fishing boat near the southwestern shore of Italy, the coastguard said on Monday. At the weekend, 49 people were found dead, probably from suffocation, on an overcrowded fishing boat. The IOM interviewed survivors who reached Catania, Sicily after "the latest in a long list of catastrophic events". "One of our witnesses said that the heat in the hold was unbearable, especially in the area close to the engine which was leaking fumes and fuel ... Those who were close to the engine could not move and started to die one by one," said IOM spokesman Joel Millman. A total of 1,000 migrants are being rescued on their way to Italy and Greece each day, he said. "We would like to point out that there are 135 days left this year. We have every expectation that the total number of arrivals will surpass 300,000."